Making a living will can bring peace of mind to you and to your loved ones because it explains what kind of medical care you want to receive when you cannot speak for yourself. Almost anyone can make a living will, but doing so may be most useful for those who are facing incapacity or for those who have very strong opinions about what kind of care they receive (or don’t receive). First thing, first. A living will is NOT the document you use to leave property to loved ones, name an executor, or name a guardian for your children. That document is a traditional will, sometimes called a last will and testament. Learn more about traditional Wills on Nolo.com. A living will – sometimes called a health care declaration -- is a document in which you describe the kind of health care you want to receive if you are incapacitated and cannot speak for yourself. It is often paired with a power of attorney for health care, in which you name an agent to make health care decisions on your behalf. Some states combine these two documents into one document called an “advanced directive.” To confuse things further, many states use different terms for these documents. See the chart at the end of this article to help distinguish some of these terms. Learn What Health Care Directives Are Called in Your State. Learn more about the difference between Living Wills, Powers of Attorney, and Advance Directives. You can put any wishes you have for medical care in your living will. You can instruct that certain types of care are given, or instruct that certain types of care are not given. For example, you can instruct that you should be put on a ventilator if needed, or instruct that you should never be put on a ventilator. Life-prolonging medical care. These treatments include: blood transfusions, CPR, diagnostic tests, dialyses, administration of drugs, use of a respirator, and surgery. Food and water. Some permanently unconscious patients can live for a very long time if given intravenous food and water. Some people want this, some don’t. Palliative care. Palliative care is care given to reduce pain when one chooses to forego life-prolonging treatments. Deciding what kind of care you want is not easy. Most people find themselves considering not only their own preferences, but also how their choices will affect their loved ones. And sometimes there is no easy or obvious choice. For example, it may be hard for your child to learn that you don’t want to be given food or water if you become permanently unconscious. He or she may prefer to extend your life as long as possible. Learn more about what decisions to consider when making your living will in What Do a Living Will and Power of Attorney for Health Care Cover? on Nolo.com. 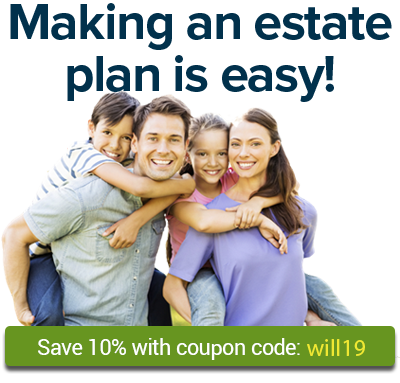 You can also make a living will and health care power of attorney using Quicken WillMaker Plus. This software comes with a traditional will, durable power of attorney for health care, free access to Nolo’s online living trust, and many other useful forms. After you make your document, you will need to sign it and have it witnessed or notarized, or both. The requirements for making your living will legal depends on your state’s law. Learn more about your state’s laws on Livings Will and Health Care Powers of Attorney in Your State. Learn more about Living Wills & Medical Powers of Attorney on Nolo.com. your hospital or care facility. If you become incapacitated, your document will state your wishes for you, but it will only be effective if those who are treating you know about it. So although you may be reluctant to bring these issues up with your loved ones and health care professionals, it is best that they know about your wishes and about your living will. The documents used to state your wishes for health care go by many names. Here’s a chart to help you sort through the terminology. A legal document in which you state your wishes about life support and other kinds of medical treatments. The document takes effect if you can't communicate your own health care wishes. A legal document in which you give another person permission to make medical decisions for you if you are unable to make those decisions yourself. A legal document that includes both a health care declaration and a durable power of attorney for health care. It is currently used in more than one-third of the states. The person you name in your durable power of attorney for health care to make medical decisions you if you cannot make them yourself. Ready to make your living will or power of attorney for health care? Quicken WillMaker Plus makes it easy to make documents that comply with your state's laws. A simple interview format provides lots of help along the way, and you can also use it to make your will, financial powers of attorney, and many other important documents.